At the ancient Egyptian temple city of Luxor six men clad in police uniforms flagged down two busloads of Japanese and European tourists, seized them and drove the buses across the dunes toward the Valley of the Queens. The men raked the buses with gunfire, then hacked and stabbed the terrified passengers with swords, slaughtering 58 and gunning down six policemen who ran to their aid. A third bus containing American tourists somehow was spared on that November day in 1997. None could know that the horror they witnessed in the Egyptian desert, committed by a terrorist cell of Gama'a al-Islamiya, the so-called Islamic Group, may have been hatched from within a federal prison in New York. 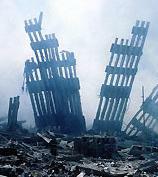 At the prison, Sheik Omar Abdel-Rahman was serving a life sentence for his involvement in the 1993 World Trade Center bombing and for conspiring to blow up the United Nations Building, two major New York traffic tunnels, a bridge and the skyscraper containing the FBI field office. In his native Egypt, the so-called "spiritual leader" was wanted for leading a conspiracy to assassinate President Hosni Mubarak. His organization assassinated Mubarak's predecessor, Anwar Sadat, in 1981. As the body bags with the tourists' remains were prepared for shipment home, the Islamic Group called a "truce." But Rahman, known as the "blind cleric" for white, sightless eyes that he usually obscures with sunglasses, was not content to sit idly in solitary confinement. Like gangsters, drug kingpins and other terrorists before him, he continued to command operations from his cell. According to the Justice Department, the Arabic-speaking Rahman worked through a handful of trusted comrades. All are Arab men with the exception of his lawyer: a dumpy American woman named Lynne Stewart. Here, housed in a four-story office building in lower Manhattan, is the nexus between fundamentalist Islamic terrorists and the American far left. The law office Stewart shares with another attorney, Stanley Cohen, is part of the core of legal activism in support of jihadist terrorists who have sworn to kill Americans. Under the law, terrorists are entitled to legal representation and they get it. An Insight investigative report described part of that network of New Left coalition-building with supporters of Palestinian terrorist groups such as Hamas, Hezbollah and Islamic Jihad ("Domestic Front in the War on Terror," 7 January 2002). Another report by this magazine's John Berlau highlighted inroads those groups had made among prominent New Right activists ("Militant Muslims and the GOP," 3 December 2001). The indictments of Stewart, as well as Rahman's interpreter, Mohammed Yousry and the blind cleric's second-in-command, Ahmed Abdel Sattar, are sweet vindication for the FBI, say terrorism specialists, which for decades has been beaten back by activist lawyers working with terrorists who litigated and campaigned with stunning success to thwart efforts of the bureau and local police departments to monitor extremist groups. Even 21 years ago, the late Rep. John M. Ashbrook (R-Ohio) commented: "Over the past decade, [U.S.-based terrorist groups] have been able to organize and operate, while at the same time our law-enforcement agencies were shackled with bureaucratic directives and roadblocks that effectively denied them the ability to protect our lives and property. With few exceptions, our local, state and federal law-enforcement agencies may commence action only after the bomb has been exploded, the victim murdered and the damage done. In some shocking cases, judges have ordered our law-enforcement agencies to turn over their files on active terrorist investigations to attorneys who collaborate with the terrorists." These attorneys, security experts insist, exploited the legally protected confidential relationships with their clients to advance violent causes. The morning after Stewart's arrest, U.S. Attorney General John Ashcroft announced the indictment. The defendants "repeatedly and willfully" violated Special Administrative Measures placed on the blind cleric "in order to maintain Sheik Abdel-Rahman's influence over the terrorist activities of the Islamic Group," Ashcroft told reporters. "Among other overt acts, the indictment charges that during a May 2000 visit to Sheik Abdel-Rahman, Stewart allowed Yousry to read letters from Ahmed Abdel Sattar regarding whether the Islamic Group should continue to comply with a cease-fire in terrorist activities against Egyptian authorities that had been in place following the shooting and stabbing of 58 tourists and four Egyptians visiting an archaeological site in Luxor, Egypt, in 1997 — a terrorist attack for which the Islamic Group claimed credit." Stewart announced Rahman's renunciation of the truce in June 2000 at a time when the Islamic Group leadership was divided about whether to resume violence. "He is withdrawing his support for the cease-fire that currently exists," Stewart told a Reuters correspondent in Cairo by telephone from her New York office. "There is absolutely nothing moving forward," she read from his statement. "The thousands of people who are in prison [in Egypt] are still in prison, the military trials continue … executions are taking place. … The people who launched the cease-fire have good faith but the [Egyptian] government has shown no good faith." That statement (and possibly others), according to the federal indictment, shows that Stewart served as a willing transmission belt for Rahman's orders, effectively freeing his terrorist organization to resume violence without his active command. While Rahman and Yousry discussed the declaration in a May 2000 prison meeting, "Stewart took affirmative steps to conceal the conversation from prison guards, making extraneous comments in English to mask the Arabic conversation between Rahman and Yousry," Ashcroft said. "Following the meeting, and in further violation of the Special Administrative Measures to which she had agreed, Stewart is charged with announcing to the news media that Rahman had withdrawn his support for the cease-fire." It came at a crucial time for the terrorists. According to the Cairo newspaper Al-Ahram, "Abdel-Rahman's statement against continuing the truce followed an intense week of debate among top Gama'a [Islamic Group] figures at home and abroad on whether or not the clandestine group should completely renounce armed struggle." The statement was far more extreme than the terrorists' own position back home and shocked Islamic Group leaders. tating, "I did not cancel the cease-fire initiative, but I did withdraw my support for it and made my opinion clear. I left it to my brothers [in Egypt] to look at it and consider what it is worth, as they know the reality better." As one investigator commented, "That's very lawyerly stuff." The jihadists now were free to do as they wished with their spiritual leader's blessing. Not that subtlety was at issue. According to an October 2000 directive smuggled out from the imprisoned sheik and titled "Mandating the Bloodshed of Israelis Everywhere," says the indictment, Rahman ordered his followers to "kill [Jews] wherever they are." If convicted of acting as a messenger of terrorist communications, what the Justice Department calls providing "material support of a terrorist organization," the 62-year-old Stewart could face as many as 20 years in prison under emergency antiterrorism legislation. All of which is serious business and raises questions about it being part of a pattern. For instance, Stewart's own defense attorney, Susan Tipograph, has been suspected of similarly abusing her attorney-client relationships to help convicted terrorists. A Western Goals Foundation report from 1981 identifies Tipograph as a member of the National Lawyers Guild (NLG) and of the May 19 Communist Organization, an offshoot of the Weather Underground terrorist group that took its name from the joint birthday of Ho Chi Minh and Malcolm X. Investigators suspected Tipograph of exploiting the confidentiality privileges of a defense attorney to help at least two of her terrorist clients escape from prison. William Morales, a member of the Armed Forces of National Liberation (FALN) of Puerto Rico, lost both hands, an eye and part of his face when a bomb he was making exploded in his New York City apartment. When police arrived at the scene, they found the fanatical Morales tearing up an address book with the stumps of his hands and flushing the pages down the toilet. Tipograph represented him during his trial and imprisonment. Morales somehow acquired a bolt cutter after Tipograph visited him in May 1979, just 10 months after losing his hands, and used it to escape from prison. The dramatic flight was coordinated with comrades on the ground who whisked him away. Tipograph fought a grand-jury probe into the Morales escape, citing attorney-client privilege. The lawyer also represented Marilyn Jean Buck, an early Weather Underground member who became the only white member of another 1970s terrorist group, the Black Liberation Army (BLA). The tenant of an East Orange, N.J., apartment filled with weapons, bomb-making equipment, dossiers of corporate executives and senior police officials and a ledger containing records of disbursements from bank and armored-truck robberies, Buck was suspected of being part of a team that murdered a San Francisco police sergeant and tried to blow up a police station. She was convicted of other crimes and sentenced to 10 years in prison. In 1977, according to veteran journalist and terrorism expert Eugene Methvin, she asked for and received a six-day furlough to visit her lawyer, Tipograph, in New York. Buck vanished. She operated underground for years, but pleaded guilty to planting a bomb in the Senate wing of the U.S. Capitol in 1983. She now is in a California prison where she runs left-wing activist campaigns among inmates. Tipograph has been available to comment on her defense of Stewart, but would not take questions about her alleged involvement in the prison escapes of her previous clients. Chronicling a fatal 1981 Nyack, N.Y., Brinks truck robbery that he called "one step in an 'urban guerrilla war' launched across America by a clandestine alliance of white, black and Puerto Rican radicals," Reader's Digest writer Methvin demonstrated a connection with Palestinian terrorists and related intelligence services from the 1970s that could explain why far-left activist lawyers are representing and assisting Islamic fundamentalists including al-Qaeda. Lawyer Cohen, who shares a law office with Stewart, even told the New York Observer last September that he believed the Mossad [Israeli intelligence agency] and CIA were behind the Sept. 11 attacks, and informed the New York Times that he gladly would represent Osama bin Laden. "He's like a sixties person," said Joel L. Blumenfeld, Cohen's former supervisor at a legal-aid office. "If this were Pearl Harbor, he would be representing the Japanese." Cohen could not be reached for comment. As Insight went to press, he was in Israel assisting Hamas. A former counterterrorism official tells Insight that recent terrorist attacks are causing federal law enforcement, including the FBI, to break out of a quarter-century-long trauma that hobbled its ability to infiltrate, disrupt and destroy terrorist organizations and their support networks. First it was left-wing and liberal fallout from the COINTELPRO program to do just that in the 1970s, followed by an effort in the 1980s to break up an international network providing material support to Soviet-backed guerrilla and terrorist groups in Latin America. "COINTELPRO is to the FBI what Vietnam was to the military," says a former federal counterterrorism official. "Just as the overwhelming number of Americans support the military today, they'll support the FBI and other law-enforcement agencies in the war on terrorism." His advocates will say the terrorist is being persecuted for his ethnicity or religious beliefs. This is a tried-and-true way of silencing critics, but it hasn't worked too well in recent terrorism cases. Attorney Lynne Stewart alleged that the U.S. government had a vendetta against Sheik Omar Abdel-Rahman because he is a Muslim. "Put a Muslim on trial and they will convict him," Stewart said when the jury unanimously found the sheik guilty of all charges. Spread disinformation about prisoner treatment. To discredit the U.S. government and its legal and penal systems, terrorist supporters allege that prisoners are being mistreated. The present case of the al-Qaeda and Taliban detainees at Camp X-Ray on the U.S. Navy Base in Guantanamo Bay, Cuba, has been tying the Pentagon in knots, forcing the Defense Department to go to such extremes that U.S. military guards have protested that the terrorists enjoy better food and hygienic conditions than the troops who guard them. The indictment against Stewart and Rahman's surrogate Ahmed Sattar alleges that, in January 2001, Sattar told Stewart that prison officials had "pleaded" with the sheik's wife to get him to take insulin for his diabetic condition. "The indictment charges that although they knew Rahman was voluntarily refusing to take insulin for his diabetes, Sattar and Stewart agreed to issue a public statement falsely claiming that Rahman was being denied medical treatment," U.S. Attorney General John Ashcroft told reporters. "The indictment charges that Stewart stated that this misrepresentation was 'safe' because no one on the 'outside' would know the truth." A month before the November 1997 Luxor attack, Stewart issued a letter claiming that disciplinary actions were harming Rahman's health, that his condition was deteriorating rapidly and that he must be moved out of solitary confinement and into a hospital, according to Arabic News.When in doubt, blame the Israelis and the CIA. Abd El-Allah Abdel El-Rahman, son of the imprisoned cleric, accused the Israeli intelligence services of staging the 1997 Luxor attack, according to Arabic News. Lawyer Stanley Cohen says that the Sept. 11 attacks were likely from a domestic group, with help from ex-CIA and Mossad officers.Conduct letter-writing, phone and fax campaigns to pressure the government to back off. Terrorist support groups already are conducting grass-roots pressure campaigns against Ashcroft, Federal Bureau of Prisons Director Kathleen Hawk Sawyer and others to protest prison conditions for convicted terrorists. One group, the Jericho Project, sent out a blast protesting Sept. 11 lockdowns in federal prisons of Marxist and Muslim terrorists — whom Project Jericho calls political "prisoners and POWs" — among them Susan Tipograph client Marilyn Buck. may have been hatched from within a federal prison in New York.